Do you owe more than the car is worth? 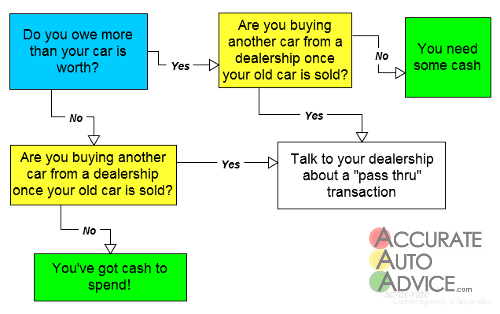 Are you buying another car from an auto dealer once your car is sold? If the buyer is paying cash, your buyer’s credit union or bank will process the transaction for a fee. Basically, the buyer’s bank will take the cash from the buyer, have you (as seller) sign some paperwork, and then the buyer’s bank will pay off your car, give you a check for the equity you have, and give the buyer his or her title. If the buyer is financing the purchase, their bank or credit union will do exactly the same thing. However, if the answer to question #2 is “Yes,” please take a moment to learn about a “pass thru” transaction below, as a pass-thru is a great way to reduce your sales tax obligation. *NOTE: Not every bank or credit union offers this service…your buyer should call ahead. 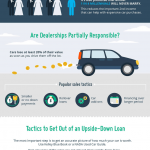 If you are upside down in the car you’re trying to sell, you need either cash or the help of your local auto dealer (more on that below). Meet your buyer at his or her bank. The bank will determine your loan payoff and then ask you for payment. In many instances, your buyer’s bank will want a check directly from your bank. Head over to your bank to collect a check in the exact amount. Note: Do not get the bank draft or check to cover your payoff until you’ve confirmed the payoff figure with your buyer’s bank. The buyer’s bank is going to get a payoff figure that’s good for 5-10 business days in the future, which means the amount they ask for will be slightly higher than the amount you hear when you call your bank yourself and request a payoff. Are You Going to Buy Another Car From Your Local Dealership After You Sell? If the answer to #2 is “Yes,” you might be able to work out what is known as a “pass thru” transaction with your local dealership. After you and your buyer agree on a price, you work out your next purchase with the dealership. 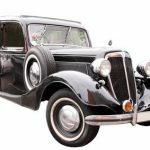 As a condition of your purchase, you ask the dealer to take your car in on trade and then immediately sell your vehicle to your buyer for the agreed upon price. Because you’re trading in a car, you only have to pay sales tax on the difference between what buy and what you trade. This means that a pass thru will reduce your taxes. If you owe more on your car than its’ worth, your dealership can add the negative equity to the price of your next car…you might not need to come up with any cash if you’re upside down. The dealership can arrange financing for your buyer, which might be helpful to your buyer. Depending on the age of the car you’re selling, the dealership might even be able to offer your buyer an extended warranty. The dealership is going to ask your buyer to pay a dealer handling fee as a condition of the pass-thru. At some dealerships, this fee is hundreds of dollars.